(1) Disconnect the hose from the fuel petcock to the tank - Large braided line off the "petcock", next loosen the allen screw that holds the tank to the frame - Easy, I know... but you never know just who might NEED to see it, then lift the tank slightly to disconnect the two electrical plugs on the LH side underneath the tank - (one should be marked with red--this will help you make sure the plugs are properly matched when you put everything back together). 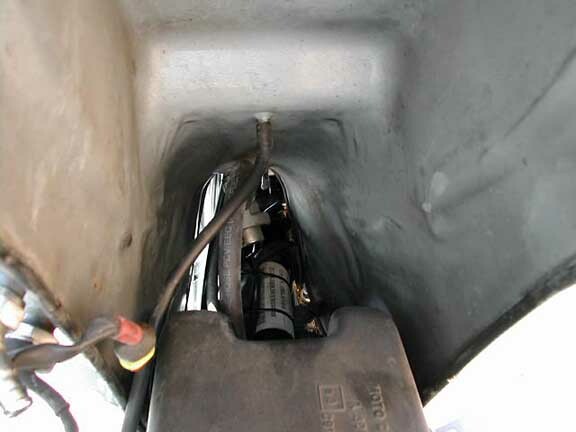 Next take off the gas cap vent/drain line under the middle of the tank, then the front vent hose - then finally the hose on the LH side going from the fuel filter to the tank (it has to be removed at the fuel filter). 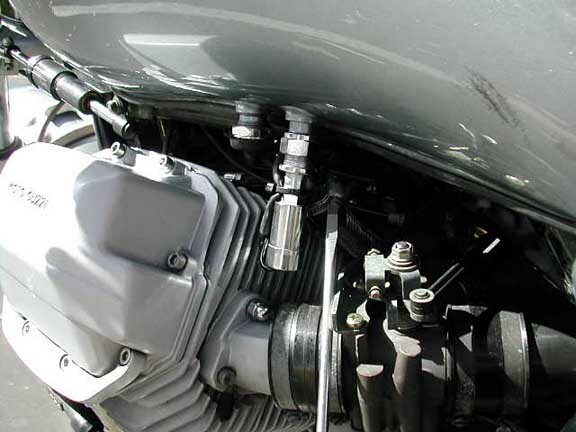 (2) After you remove the tank, make a mental note of where the front fitting of the fuel filter is relative to the metal brake line and the inlet for the air box. 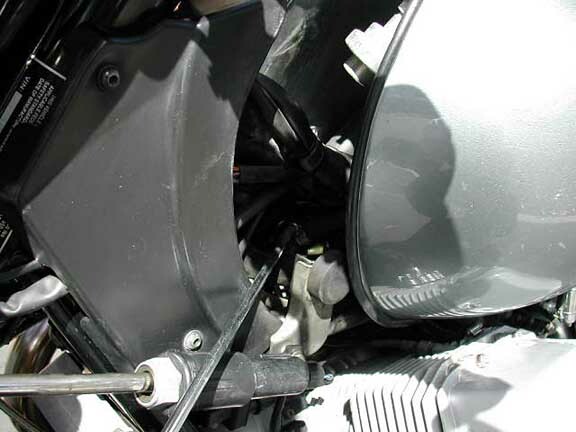 This will help you on reassembly as it is a bit of a kluge with all the hoses, wires, etc. under the tank. 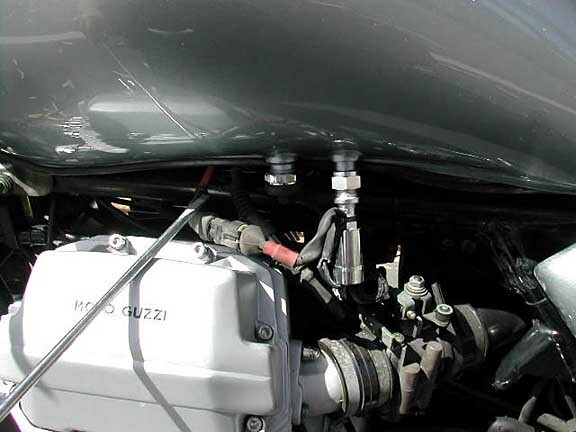 (3) Attach a fairly long hose to the fuel filter (the outlet to the tank just disconnected), and put the open end of the hose in a suitable gas collection container. There is enough gas in the filter to make a mess after you loosen the clamp that holds the filter to the frame and start moving things around. 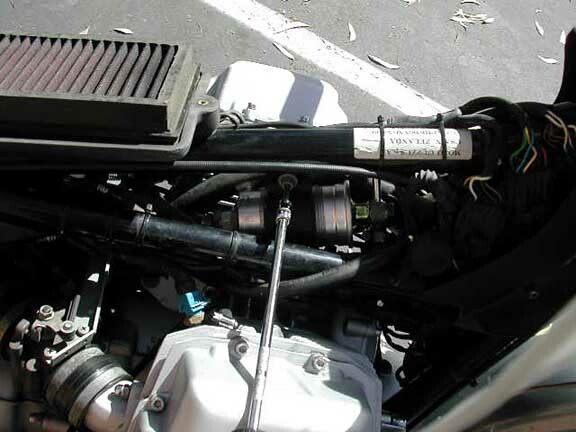 (4) Remove the top of the airbox only. Cut any tie-wraps that you need to gain access to the old filter. 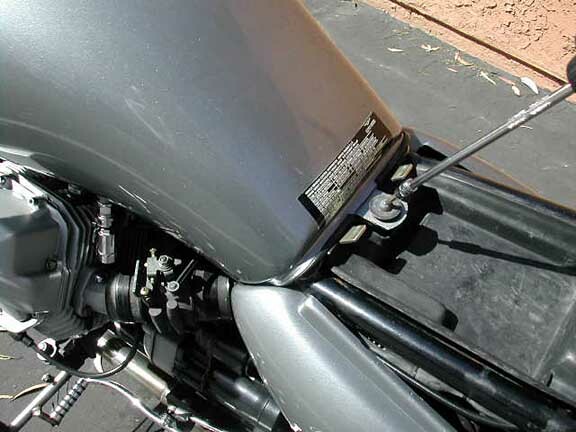 Disconnect the two other hoses to the fuel filter (you'll need a 19mm and a 22mm wrench to remove/install these) - and remove the fuel filter clamp (be sure to do this after the banjo bolts on the filter have been broken loose). (5) For the Napa 3008 - wrap several layers of duct tape around it so that it will fit snugly in the clamp. Replace the banjo fittings using new crush washers (typically supplied, but you might want to check when you purchase it), re-install the filter, and replace any tie wraps removed. 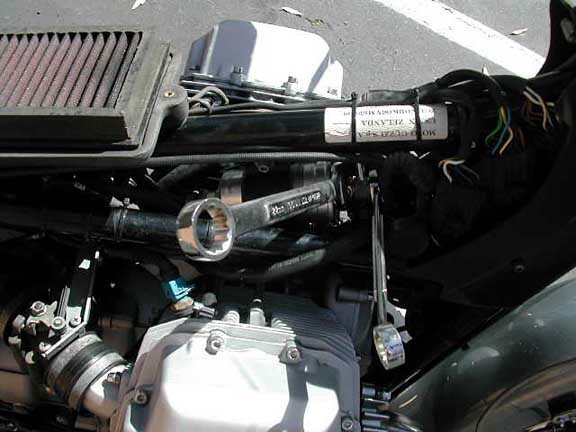 (6) Replace the air filter if needed and re-install the top of the air box. (7) Reattach the hose from the tank to the fuel filter first (I tried doing it last and had to take everything apart and start over). 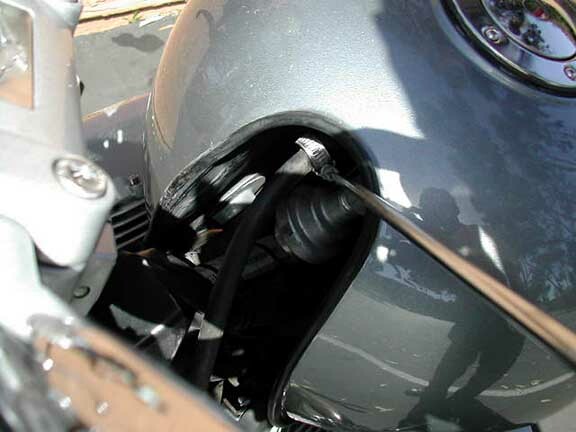 (8) Connect the other two hoses to the tank and then the electrical plugs. 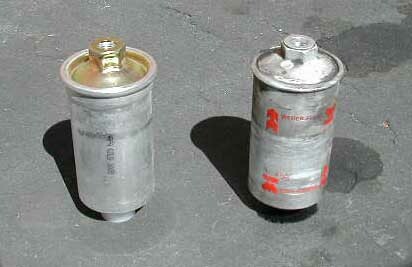 (9) Re-install tank, using some lubricant (i.e. water-proof grease, or WD-40) on the rubber bumpers. Attach the tank/frame allen screw. (10) Replace the hose to the petcock.